Amount and time spent was a fraction of what was quoted by the authorized dealer. Very quick, cordial and efficient service from GoMechanic. Which engine oil do you use in a car service? We use Mobil1 5W-30 Engine oil that enhances engine performance and efficiency, providing superior protection against wear and tear giving your car engine a longer life. What kind of spare parts are used for my car? 100% genuine spares and consumables guaranteed. Our centralised spare procurement and integrated inventory management enable us to source quality OEM and OES spares, ensuring what goes into your car is nothing but the best. How much time will it take for my car service? The service time for your car depends on the service package. A standard service takes 4-5 hours whereas, a comprehensive service takes at least 5-6 hours. Do I have to drop off my car at the workshop for the car service? Not at all. We offer a hassle-free and seamless car service experience with our FREE pick-up and drop-in service for your car anywhere across your city. 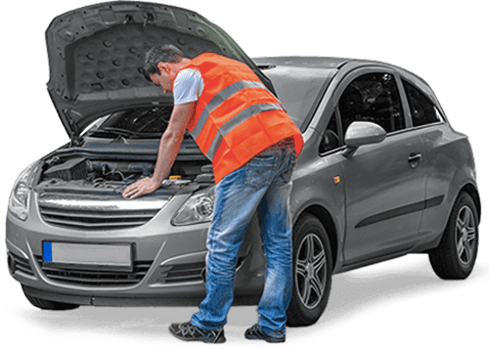 What if I face any issue after the service of my car? When you book a car service, you get 1 month/1000 kms unconditional warranty on service for your car. On top of that, our 24x7 proactive customer support will tend to your issue with the highest priority. . Looking for Custom Repairs for your car in Delhi NCR ? Tell us your requirements and get a call back within 2 hours with a custom quotation exclusively for your car. You get FREE pick-up and drop service for your car at your location in city as per your selected time slot. However, you can also bring in your car for the service at the nearest GoMechanic workshop. © 2019 Targetone Innovations Pvt. Ltd.